The SAIS Consulting Club began the 2015-16 school year with a kick-off event on Tuesday, September 15th. Club President Kait Lavinder welcomed everyone and reviewed the exciting events and opportunities the club will be organizing this year and the available leadership positions. 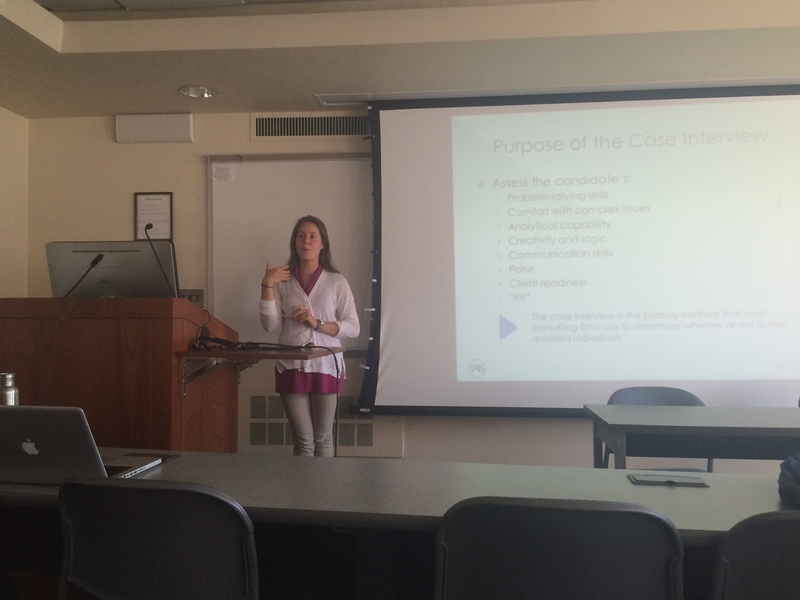 Afterward, Kait went over the basics of consulting and ran through a couple of typical case interview questions.